Planning for a vacation is typically an exciting time for a family. They are looking forward to time spent together at their destination, plenty of activities to experience, the food etc., and few expect any challenges to get in the way. But for some families, vacation planning is stressful and something to be avoided all together. Those families may not think vacationing is an option for them because someone in the family is on the Autism Spectrum and trying to plan a trip to accommodate them is overwhelming. 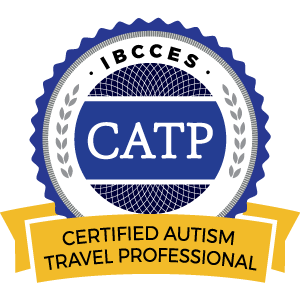 As a Certified Autism Travel Professional I would like those families to know that I’m here to serve them and make vacation planning enjoyable and stress-free. Every family deserves some time to bond, create memories and share a destination without having to worry about how a family member on the spectrum is going to cope, because the details have already been taken care of. 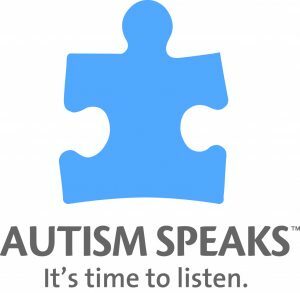 With one in 68 children in the US today diagnosed as being on the Autism Spectrum Disorder according to the Centers for Disease Control and Prevention it’s important to me to be able to provide a vacation experience that is memorable for those families. I’ve been specially trained to work with these families by the International Board of Credentialing and Continuing Education Standards (IBCCES) and together we can make vacationing a possibility. Each person on the Spectrum has different needs, different triggers etc. By working with the family to learn what those are I can then work to find destinations, vendors and resources that will enable me to present options. For instance, did you know that it’s possible to take a “practice run” through security at the airport for those that might be prone to sensory overload and where change is hard? Alerting TSA ahead of time is also an option. Certain companies such as Royal Caribbean Cruise Lines and Beaches Family Resorts are even Autism certified, making a trip with them that much easier on a family. YOU deserve to work with a Travel Professional who understands the challenges you face and I’m here to help you. I hope you will contact me, so we can work together to create a lifetime of memories. B logger, Traveler, Wife, Runner….I’m known as many different things. But I’m here to be your Travel Professional. Ever since I was a little girl I had an interest in travel. I would collect the postcards books that my grandparents brought back to me from their travels and I kept them in a special box that I loved to pull out and flip through. As I traveled with my family I started collecting postcards on my own and pictures, maps, and other mementos of my travels. Believe it or not, I still have those postcards and every once in awhile I’ll bring them out and flip through smiling at the memories they bring back. Although I might not collect postcards anymore I collect photos, stories and information on my travels. I love to soak up a destination, reveling in the local food life. I absolutely love sharing my travel stories, foodie moments and special encounters. This entry was posted in Kingdom Magic Quick Tip, Travel Tips, Uncategorized and tagged Autism, Carrie Bryniak, certified autism travel professional, children with autism, family travel, Must Love Travel, Traveling with Autism on February 22, 2018 by Carrie Bryniak.